Vitamins are compounds that are needed by the body for good health. The human body cannot synthesize its own vitamins (other than vitamin D in the skin), and so these must come from the diet. There are a lot of myths about vitamins. It is possible to get all the vitamins needed from a balanced and healthy diet, though some people may need extra supplementation. These include pregnant women or women who are planning on getting pregnant, people with certain illnesses, and people who are suffering from a vitamin deficiency. These should be taken only with the advice of a doctor, nurse or pharmacist. Just because something is natural doesn’t make it safe. There are some very dangerous toxins in nature, such as botulinum toxin from bacteria, tetrodotoxin from puffer fish, and batrachotoxins from poison arrow frogs, amongst others. Even vitamins, which are essential for life and health, can be toxic in the wrong amounts (see next myth). If Small Doses Of Vitamins Are Good, Big Doses Must Be Even Better! In vitamin supplements, vitamins from natural sources are identical to vitamins from synthetic sources, and are used by the body in exactly the same way. Vitamins in food seem to have more of an effect than vitamins taken as supplements. It’s not completely clear why, but it may be because they work together with all the other parts of the food, such as the other nutrients and fibre. 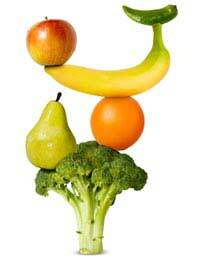 It is better to get as many vitamins as possible from a balanced diet rather than as a supplement. There are many different combinations of vitamins on the market – vitamins for women, vitamins for dieters, vitamins for the over 50s – and these tend to be expensive. For people who are concerned that their diet doesn’t provide all the required vitamins and minerals, a simple, low-cost multivitamin supplement will be enough. Unless hair has become brittle or is falling out as a result of a vitamin deficiency, taking vitamins won’t make it any stronger. The thickness of hair is generally inherited, and so extra vitamins can’t change this either. Some people belief that they can make a poor diet better by just adding in a vitamin supplement – this is a myth, because a healthy diet is about more than just the recommended daily intake of vitamins. It’s important to east food with the right minerals, with plenty of fibre, low fat protein and whole grains, avoiding too much fat and sugar. Eat whole grains and avoid fat?? When was this written? 1995? Whole grains are all pro-inflammatory while saturated fat is an essential nutrient. Other lesser known myths Vitamin C is not orange but it was when I was young Haliborange. Halibut and cod are better cancer avoidance mechanisms than swordfish and tuna. Vitamin D is not black unless it's rotten vitamin d but the non national advisory service does advise that more D is needed than is generally considered especially by GP quackery Iodine Iodine everyday that's what the doctor always used to say until he turned purple. but he didn't die of cancer at least. And most of all if you want to live longer than you probably will eat stevia or honey instead of sugar but be careful that the honey doesn't have any additives that make your private parts stink. Organic please honey.